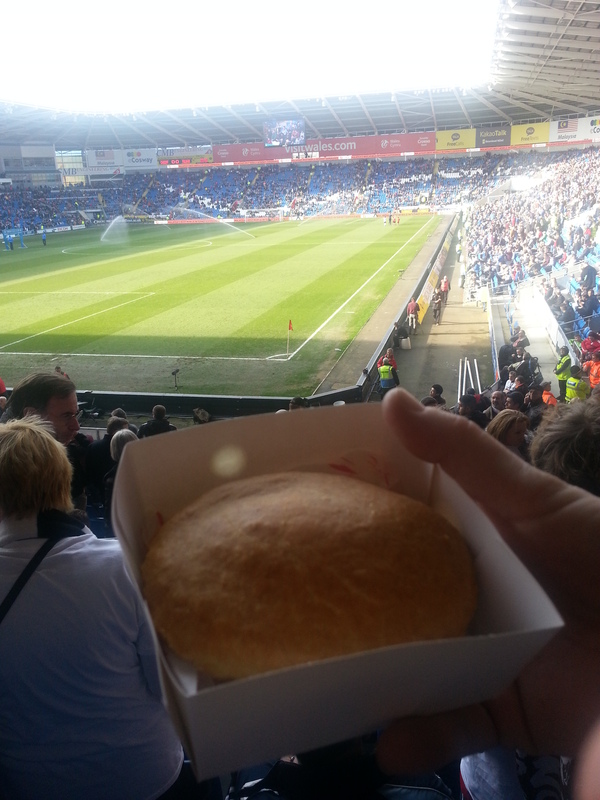 Comments: Cardiff’s new/plush/generic/soulless stadium may be nothing special , but the pies certainly are- a local delicacy in a premiership ground! Almost unheard of! The intriguing option sat invitingly on the menu, labelled only as Clark’s Pie there was one way to find out what in Wale’s green earth it was. Unaware of who Clark was, or what he was doing making pies, I went to the most reliable source of knowledge since Socrates died to discover its origins. It sounds a lot like a standard beef pie, but ohhh no, its far more than that. My slice of Clarky was like a bread roll from a distance and with a similar sturdiness close up, inside the oblong shape a hearty beef filling resided like a molten meaty flow of gravy lava. The most noticeable novelty with the pie was the pastry, different from anything I’d ever tasted in a football pie, almost like sourdough, but not really like that at all. The nearest comparison could be to that rogue bread roll variety you get in restaurants sometimes, in fact maybe I’m specifically thinking of Red Lobster’s Cheddar Biscuits. Yes, that’s exactly it, for those yet to frequent the seafood chain just head over to America and visit one. Easy. A lovely new pie experience on what will likely be my last season in the premiership for awhile thanks to Fulham’s completely shambolic showing on the day. What a mess this season has been for the Cottagers, just awful from Sunderland away on the opening day until now. Let’s hope we’re put out of misery soon, like Michael Owen should have been in 2006, and we can all look forward to a host of new pies in the Championship. 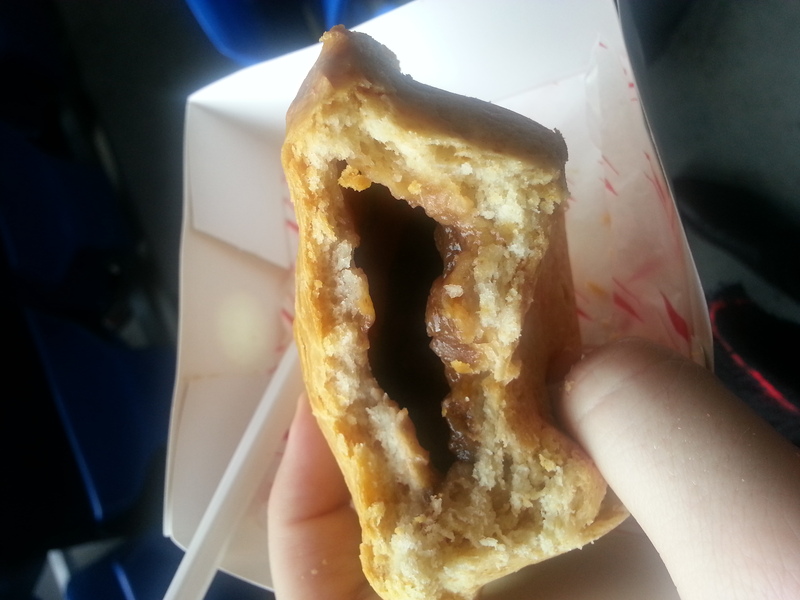 I hear Brighton has some special pies….